This tutorial will review the process of adding, or configuring existing payment methods on your CS-Cart website. As an online store, receiving payments is one of the most important features that you need to set up properly. This will ensure you are getting paid for the products you are selling through your website. To manage the payment methods in CS-Cart, you have to log in as administrator first. 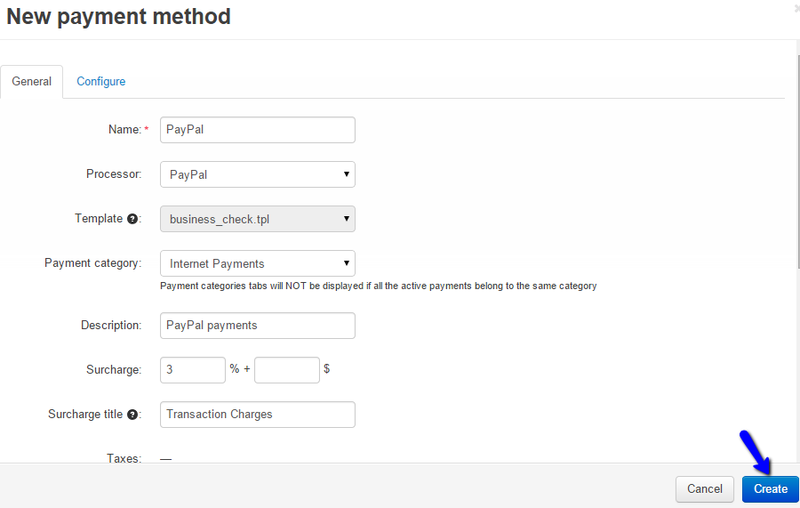 Click on the Administration button at the main menu and then Payment Methods. To create a new payment method, you simply need to click on the + sign at the top-right corner of the screen. To edit an existing payment method on your website, you need to access the Payment Methods manager again. From the list of available payment methods, simply move the mouse cursor to the one you wish to edit. You will notice a Settings icon that you need to select and then click on Edit. Enter the details that you wish to change and click on the Save button to keep the changes. To remove an existing payment method, you need to move your mouse cursor to one of the available methods in the list. Click on the Settings icon and then Delete.